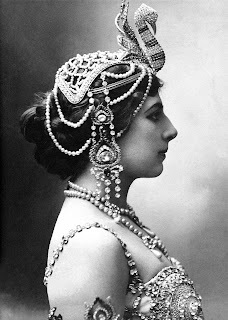 After realizing that I’d posted my last blog a week early, I decided to do a little more research on additional female spies-of-note for my actual blog day. What I found was a plethora of candidates worthy of mention. Josephine Baker, a black American entertainer living in France, who—through notes written in invisible ink on her sheet music—carried information about airfields, harbors, and German troop concentrations for the Brits. The daughter of an Indian Muslim father and an American mother, Kahn grew up in France, where she studied child psychology at the Sorbonne, music at the Paris Conservatory, and later pursued a career writing poetry and children’s stories. 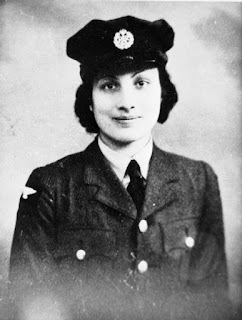 After the outbreak of World War II, she and her brother decided to help the Allied cause, in part to fight the Nazis and in part hoping that by distinguishing themselves in the war they could help bridge relations between English and Indian peoples. 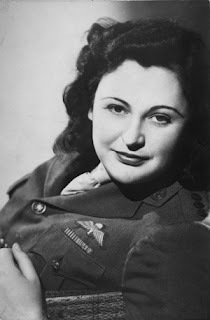 Joining the Women's Auxiliary Air Force, Kahn trained as a wireless operator, then traveled to Nazi-occupied Paris where she transmitted messages to London. Sadly, she was betrayed to the Germans and arrested. She never revealed any secrets under interrogation. Unfortunately, she had copied the messages she’d sent into her notebooks, which made it possible for the Germans to successfully impersonate her in further messages to London. The end result was the capture of three more of London's operatives, before Khan was moved to the Dachau Concentration Camp, where she was executed. Born in Wellington in 1912, she trained herself as a journalist and, by the time World War II broke out, she worked for Hearst newspapers as a European correspondent. Joining the French Resistance, she worked as a courier. Using flirtatious charm to throw off Gestapo members, she joined an escape network helping Allied military personnel to flee Marseille. Known as the "White Mouse" for her ability to evade capture, Wake became the Gestapo's “most wanted” person with a five million-franc price on her head. Fleeing France, she joined the SOE where she turned out to be a crack shot in training and was assigned to work in Auvergne. After parachuting into the province, she became responsible for organizing weapons and supply drops. She even engaged in combat, lead guerrilla attacks and sabotaged missions, and even once killed an SS officer with a judo chop to the throat. At the end of the war, she became one of England’s most decorated servicewomen. 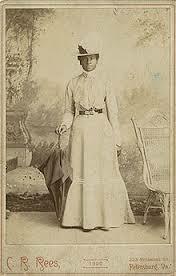 A slave, she was educated in the north and later freed by her master. Her former master’s daughter, Elizabeth "Bet" Van Lew, became an abolitionist famous for running a spy ring for the Union during the American Civil War. Browser, a brilliant woman with a photographic memory, posed as a slow-witted, but competent servant in order to infiltrate the household of Jefferson Davis. Assuming she could neither read nor write, important papers were left out in the open. Bowser read the papers, memorized them and fed the information to Van Lew's spy network. Toward the end of the war, members of the household became suspicious. Bowser fled, trying unsuccessfully to burn the house down on her way out. She survived the war, living to write about and give lectures on her wartime activities. Japanese spy, Yoshiko Kawashima, was actually Chinese by birth. 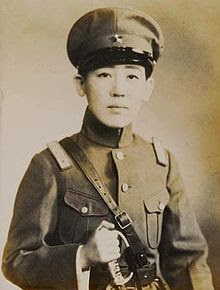 The daughter of a member of the Manchu imperial family, when she was eight her biological parents died and she was adopted by the Japanese spy and adventurer, Naniwa Kawashima. Strikingly beautiful, Kawashima was sent to Tokyo. Trained in both Eastern and Western martial arts, she became something of a pulp heroine thanks to her exploits as a Japanese spy in the Japanese-controlled state of Manchukuo. Her outspoken criticism of the practices of the Kwantung Army in Manchukuo caused friction between Kawashima and her employers; after all, a famous spy isn't of much use. That didn’t stop Kawashima. In 1945, she was captured in Peking by Chinese counter-intelligence officers and executed as a traitor by the Nationalist Government. Many historians have pointed to the 16th century noblewoman as the leader of her very own spy ring—L'escadron volant, or the Flying Squadron. She is suspected of recruiting beautiful women to form sexual liaisons with powerful men at court, so that they could learn the men's secrets. 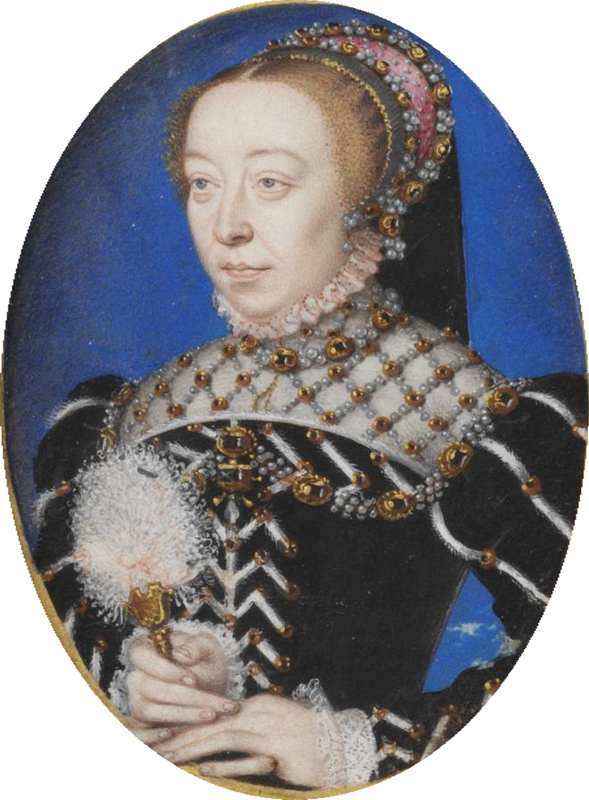 Alleged members of the Flying Squadron include Charlotte de Sauve, who was supposed to have spied on François, Duke of Alençon, and Isabelle de Limeuil, who claimed to have a son by Louis, Prince of Condé. One of the KBG's most valuable spies, she started spying in the 1930s and didn't retire until 1972, at the age of 60. A Brit, she was a communist sympathizer. Using her job at the British Non-Ferrous Metals Research Association, Norwood passed documents related to the nuclear weapons program, purportedly speeding up Soviet nuclear progress. After the defection of KBG archivist Vasili Mitrokhin in 1992, British intelligence became aware of Norwood's role in the Cold War. Never tried for spying in her home country, she received a Soviet pension for her service and became infamous at the end of her life. She was known as the "granny spy." 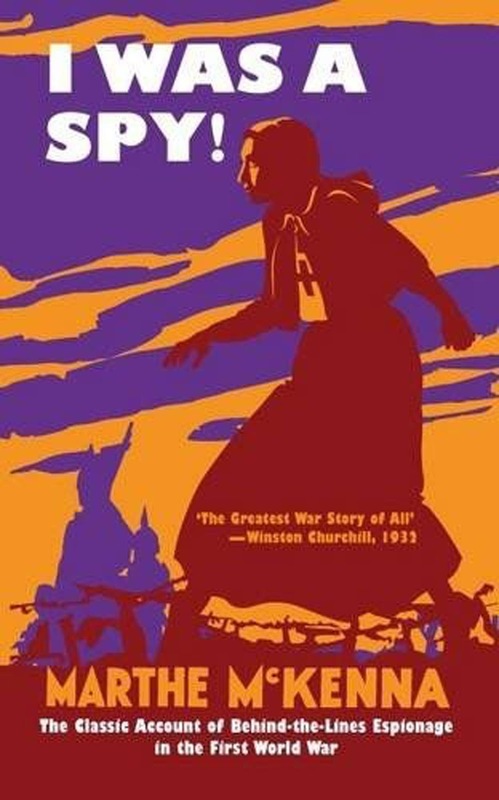 A World War I spy, she was also the writer of spy novels. In 1915, she worked as a nurse in a German military hospital, when a friend recruited her as a British intelligence agent. She spied on German military personnel alongside other female spies. In addition, she sabotaged a telephone line being used by a priest who was spying for the Germans, which is what led to her eventual capture. Sneaking into an abandoned sewer system, Cnockaert placed explosives beneath a German ammunition depot and lost her watch, which was engraved with her initials, during the mission. She was arrested and served two years in a prison in Ghent. 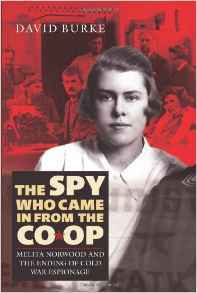 Released at the end of the war, she married a British army officer, who ghostwrote her memoir, I Was a Spy! She later went on to publish a slew of spy novels. What do you think is more believable—truth or fiction? Wow, Chris, I thought I knew a lot about highly successful, brave, but little-know female spies through history, but you've given me even more. What a treasuretrove, and so interesting! Thank you! I didn't know about Catherine de' Medici. She was pivotal in refining French Cuisine. In yesterday's post I mentioned Julia Child (she served in the OSS). It seems there are multiple connections of espionage and haute cuisine! What a terrific list of brave women -- some who even gave their lives to spy for their country. It would be great if you (or another talented female author) might write a story about some of these women so more readers could learn about their incredible histories (either non-fiction or historical fiction). Thanks for posting this! There is so much great history here. Thank you! !